Get instant savings by booking a Nashik travel package. Just pick your favorite options and let Expedia do the rest. Click through our international database of more than 400 partner airlines and 321,000 worldwide properties. Too many to pick from? Don't stress — we'll help you decide! You don't have to worry about postponing your group's plans, as we don't charge additional cancellation fees for almost all of our hotel bookings. There are heaps of wonderful things you can do when you're in a new place. So why not get your trip to Nashik off to the perfect start by taking a look at some of our suggestions? After all – out there starts here! Temples have long captivated pilgrims seeking spiritual enlightenment in a confusing world. Head to the hallowed site of Kalaram Temple and enjoy your own quiet reflection. There's a wonderful range of things to keep you busy in this destination. Sometimes tranquil, sometimes powerful — there are few things as wondrous as a waterfall. Secure a good vantage point and watch Godavari Falls splash, rush and swirl over the rocks. Still have time to spare? Temples have long drawn pilgrims searching for spiritual enlightenment. Take in the holy site of Veda Mandir Temple and enjoy your own quiet reflection. 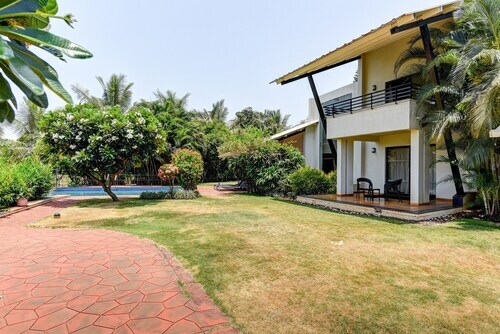 On the lookout for a place to stay for your cheap vacation or luxury getaway in Nashik? It's advised you get in fast, as there are only 9 Expedia properties to select from. 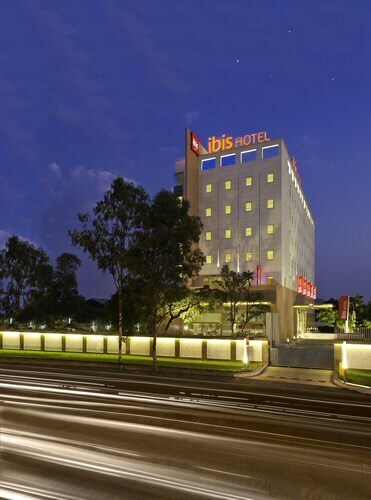 If you like gyms and valet parking as well as snuggly beds, why not look into the amenities at The Gateway Hotel Ambad (P 17 Midc Ambad Maharashtra) and the ibis Nashik - An AccorHotels Brand (Plot No 9)? Nothing's more satisfying than finally landing at Chhatrapati Shivaji International Airport (BOM) after sitting down in a cramped cabin for hours. Once you've picked up your bags from the carousel and done a few stretches to get your legs moving again, you'll be around 85 miles (137 km) from Nashik's center. 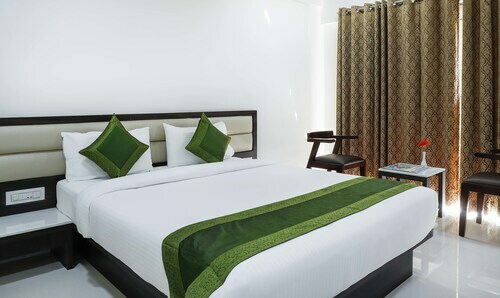 Situated in Nashik, this hotel is 1.9 mi (3.1 km) from Veda Mandir Temple and within 6 mi (10 km) of Sula Vineyards and Pandavleni Caves. Ram Kund and Kalaram Temple are also within 6 mi (10 km). 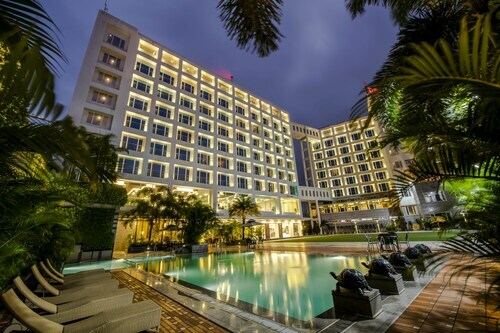 Situated in Nashik, this hotel is within 1 mi (2 km) of Pandavleni Caves, Ram Kund, and Kalaram Temple. Veda Mandir Temple and Godavari Falls are also within 3 mi (5 km). 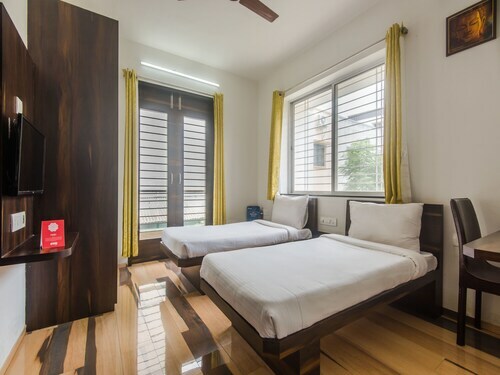 Situated in Nashik, this eco-friendly hotel is within 1 mi (2 km) of Veda Mandir Temple and Pandavleni Caves. Kalaram Temple and Ram Kund are also within 3 mi (5 km). 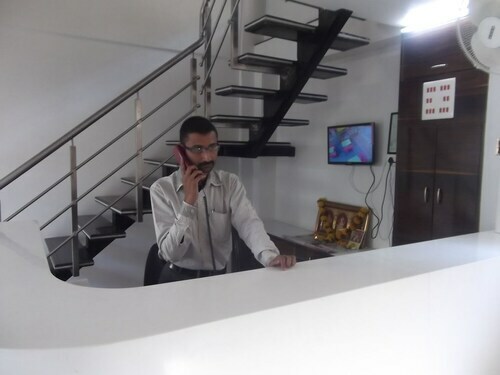 Situated in Nashik, this hotel is within 6 mi (10 km) of Veda Mandir Temple, Pandavleni Caves, and Muktidham Mandir. Nashik.. Sula Vineyards and Kalaram Temple are also within 9 mi (15 km). Situated in Nashik, this hotel is within 6 mi (10 km) of Veda Mandir Temple, Pandavleni Caves, and Muktidham Mandir. Nashik.. Shrine of The Infant Jesus and Kalaram Temple are also within 9 mi (15 km). 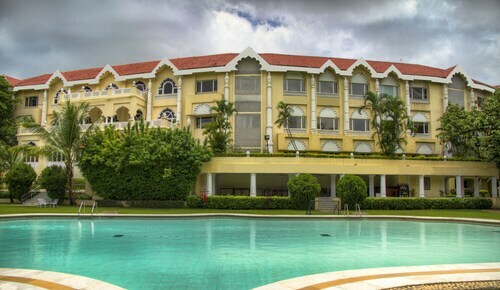 Situated in Nashik, this resort is 1 mi (1.7 km) from York Winery and 2.2 mi (3.6 km) from Sula Vineyards. Veda Mandir Temple and Ram Kund are also within 12 mi (20 km). 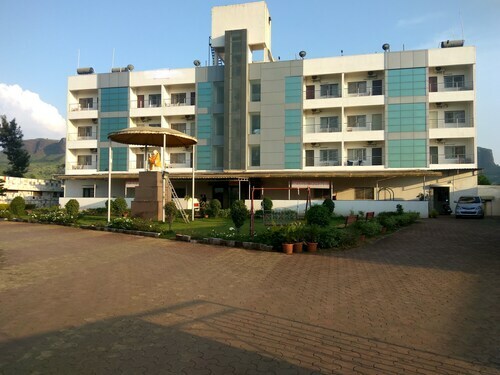 Situated in the historical district, this hotel is within 3 mi (5 km) of Trimbakeshwar Temple, Goutam Talav Lake, and Brahma Valley Educational Campus. Anjaneri Fort is 2.2 mi (3.6 km) away. Situated in Nashik, this hotel is within 1 mi (2 km) of Pandavleni Caves, Veda Mandir Temple, and Ram Kund. Kalaram Temple and Godavari Falls are also within 3 mi (5 km). Wed., 24 Apr. - Tue., 17 Sep.
Fri., 29 Nov. - Sun., 29 Dec.
Wed., 22 Jan. - Sun., 16 Feb.